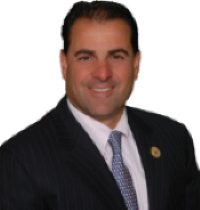 Senator Sarlo maintains a district office located in Wood Ridge that provides various constituent services to the residents of District 36. The best way to contact us is by phone or by email. Although we cannot guarantee that we will be able to fulfill your request, we will do our best to assist you in a timely fashion. Below are some of the most common issues for which we provide assistance. Feel free to contact our office at any time with any additional questions or concerns you may have by clicking the “Contact” tab at the top of the page. Constituents have sometimes had trouble meeting New Jersey’s identification requirements when attempting to obtain or renew a license due to lost, stolen, or damaged documents. On occasion, our office may be able to work with the New Jersey Motor Vehicle Commission to obtain proper verification. Contact us if to find out if we are able to assist you. If you would like more information or New Jersey’s 6 points of identification requirements, click this link.. In order to obtain or renew a notary public license in New Jersey, constituents are required to attain an endorsement from a member of the Legislature. Although there is no official difference in the process, we have found in our experience that constituents tend to receive quicker results after submitting an online application as opposed to a paper application. For online Notary Public applications, use this link. Occasionally, our office can assist constituents with difficulties that arise in filing a claim for unemployment benefits. However, please only reach out to us if you are having difficulty with a claim that you have already filed. Contact us to find out if we are able to assist you. To find out more about the unemployment benefits that New Jersey offers, click this link.